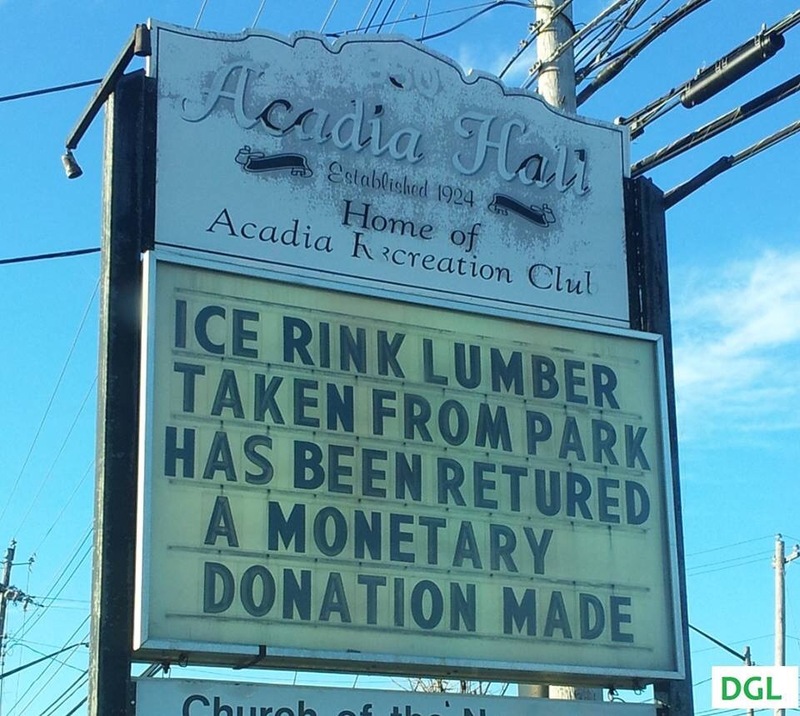 Good News: Stolen Acadia Hall Rink Lumber Has Been Returned! #Sackville | Sack-Vegas!!!! Pic from Victor Goguen – Thanks! Hey, check it out! This should put a few smiles back on some faces. That pic of the van leaving with the lumber reached tens of thousands through social media. I wonder how this all played out? What’s with the donation? Hmmm. I’ll try to get more deets. Posted by Sacky on November 9, 2014 in Uncategorized. I read about this yesterday, but I can’t recall where. 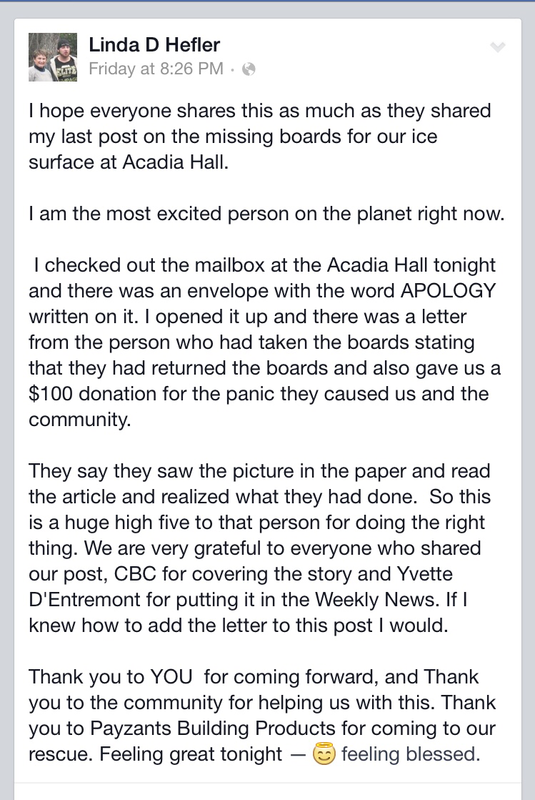 Linda found an envelope in the mailbox at the hall with “Apology” written on the front. Inside was a written apology, and $100 from the thief! An interesting turn of events, and I’m thrilled it’s been returned. A nice gesture, but I don’t thinkthis absolves the perpetrator.